Modular vs Manufactured. What’s the difference? 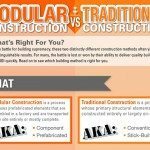 - Sherlock Homes of Indiana Inc.
Home » Modular vs Manufactured. What’s the difference? When discussing “Modular” and “Manufactured” homes, as a home buyer, it’s important to know the difference because of the confusion with the terms. Through the years, different stigmas and even different definitions have changed. It’s to the point where many people and even most realtors don’t know the difference! 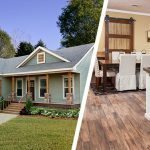 So, it’s no surprise that “what is the difference between Modular Homes and Manufactured Homes?” is the most commonly asked question we hear from our customers. That’s what this article is for. Even though both types of homes share many similar components, such as finished drywall interiors and the ability to custom build items like garages and/or basements on site, in the end, when we refer to Modular homes, we are talking about a completely different building code than Manufactured homes. Modular homes are constructed in buildings where they are not exposed to weather and then shipped to the job site where a foundation is pre-constructed. When they arrive to the job site, they are carefully assembled using cranes and other heavy equipment, where they are then put together by a construction crew. Unlike manufactured homes, these homes are built to the exact same state building codes as site built homes and sit on wooden floor joists instead of a metal frame. This means Modular homes are securely lag-bolted to the foundation by their wooden floor framing, just like a site built home is. This means Modular homes have to meet the same quality and the same exact building codes as site built homes within that state. When financing a Modular home, a construction loan is done through a bank, just like a site built home, and follow the same housing market trends. When a modular home is sold, at a later date, it is financed and ownership is transferred just like any other existing home, there is no special “title” for the home. Modular homes can also be more than one story, unlike manufactured homes. When customizing a Modular home, whether that be the exterior or interior, your options are very broad! In addition to all of this, Modular homes are constructed at the same time as the foundation and other various site work is done, which saves a lot of time compared to traditional construction homes. 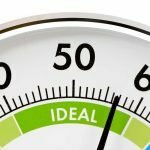 Typically, a buyer can expect 3-6 months from the day they get started to the day they move in! Just like Modular homes, Manufactured homes are constructed in buildings where they are not exposed to weather. The difference in the construction process is that they are permanently put on a metal “chassis” or “frame” that has wheels, making it a “mobile home”. These homes are built to a nationwide building code (H.U.D. Code**) and can be “single wide”, which is usually 12-16 feet wide, or “double wide”, which are usually 26-32 feet wide and, although rare, can be constructed as “triple wide” homes. Each one of these homes can be up to 80 feet long. Typically, Manufactured homes are more affordable, which requires less monetary commitment. Since they can also be moved, they give the home owner less geographical commitment. Manufactured homes are also restricted to being one story. When people think of Manufactured homes, some immediately think of “mobile home communities”. While many Manufactured homes reside in these communities, they can also be put on a foundation, such as pillars, crawlspace and even on basements and can be placed on land that is owned by the buyer. Many people choose this method for their primary home on a plot of land, and some also make Manufactured homes a secondary residence such as for lake homes or as a guest home. Sherlock Homes carries both Modular homes and Manufactured homes and can go into even more detail when you visit us and tour our brand new display homes.